NEW DELHI: India will develop 10 heavy water nuclear reactors – a plan the government says will generate business worth 70,000 crores and create 33,000 jobs. The government’s initiative came as India’s efforts to enter the Nuclear Suppliers Group — a global club that controls nuclear commerce, remains stalled. The government now plans to generate 63,000 MW (megawatts) of nuclear power by 2032 and ramp it up to supply 25 per cent of electricity by 2050. The cabinet cleared the plan today, said Union Minister Piyush Goyal after attending a meeting chaired by Prime Minister Narendra Modi. The plan to fast-track the domestic nuclear power programme also marks a response to the near collapse of Westinghouse. Talks were on with the US reactor maker to build six its AP1000 reactors in India. The firm, owned by Japan’s Toshiba, filed for bankruptcy in March, raising doubts about whether it can complete the India deal. India gets its bulk of electricity by burning coal. Nuclear power accounts for just two per cent of the country’s needs. For years, India had been pushing to develop indigenous technology in nuclear power. Currently the country generates 6,780 MW nuclear power — building capacity for another 6,700 MW is in the pipeline. Out of India’s 22 operational nuclear reactors, 18 use heavy water – a safer and more efficient technology. But most of the reactors have lower capacity. The new reactors will generate 700 MW power each. Indian companies such as Larsen and Toubro, Kirloskar Brother Limited and Godrej & Boyce welcomed the government’s move. 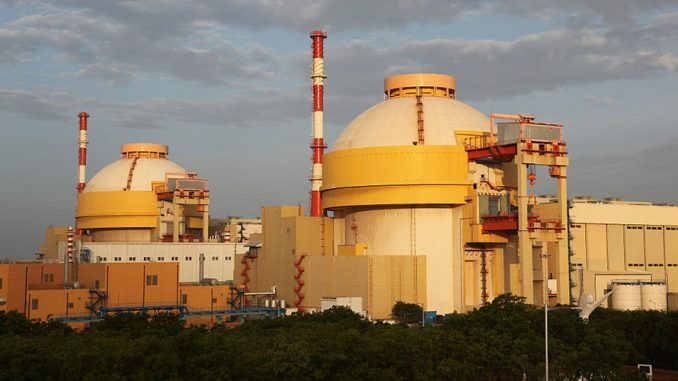 “Nuclear power plants will go a long way in reducing the perennial energy deficit,” Sanjay Kirloskar, chairman of Kirloskar Brother Limited was quoted as saying by news agency Reuters. Larsen and Toubro’s director SN Roy called the move “bold and historic”. A heavy water reactor uses natural uranium as fuel unlike light water reactors, which use enriched uranium. Heavy water reactors are safer and more efficient and get more output for the same quantity of uranium than one using normal water. They can also be fuelled without shutting down, which helps them run for long runs without a break. India had imported the PHWR (Pressurized heavy-water reactor) technology from Canada, but after the 1974 nuclear explosion at Pokharan, when Canada abandoned all cooperation, Indian scientists mastered the making of these reactors, which come in three variants 220 MW, 540 MW and 700 MW units.